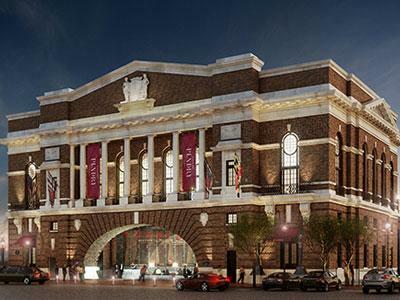 NEW YORK—In collaboration with Sagamore Development Company, the development enterprise of Under Armour Founder and CEO Kevin Plank, Pendry Hotels plans to develop its first East Coast hotel, Sagamore Pendry Baltimore. Located in the waterfront neighborhood of Fells Point in Baltimore, the 128-room hotel, located on the Recreation Pier, is slated to open in early 2017. War Horse, LLC, owned by Plank’s brother and former Under Armour executive Scott Plank, is also a partner in the project. Fells Point once served as the second largest point of entry into the U.S., only surpassed by Ellis Island, according to Pendry Hotels. Recreation Pier, originally built in 1914, was previously a dance hall and social gathering hub for early 20th-century Baltimore immigrants. The new hotel will feature multiple dining options including a three-meal restaurant, whiskey bar and an outdoor pool at the pier’s end with cabanas and a bar and grill. In addition, there will be more than 10,000 sq. ft. of indoor and outdoor meeting and event space. The property will be home to an art collection, including a signature Botero horse sculpture, which will be the centerpiece of the courtyard. Designed by BHC Architects with interiors by Patrick Sutton Design, the aesthetics of the guestrooms and public spaces will pay homage to the property’s heritage with hints of Baltimore history, according to the company.